The students of St. Joseph High School participating in their School Fab Lab are advised to expect anything. One day early in the school year, it was marshmallows. 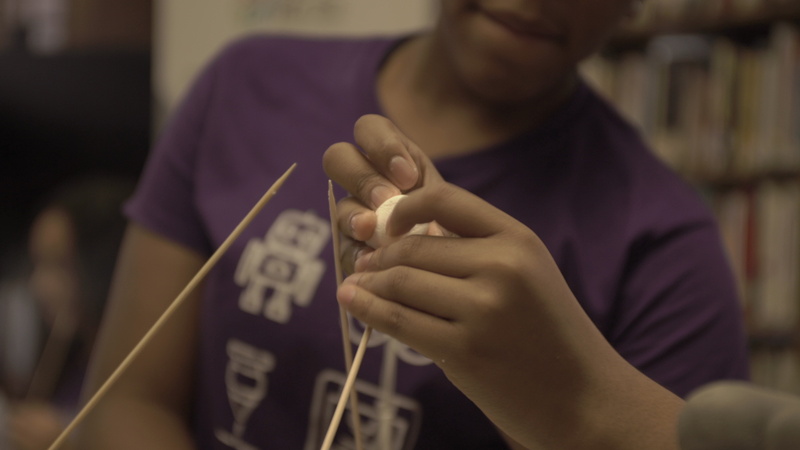 On the curriculum is “The Marshmallow Challenge” – building with thin wooden skewers and marshmallows. What the students were actually building was teamwork, confidence, and alternative thinking. 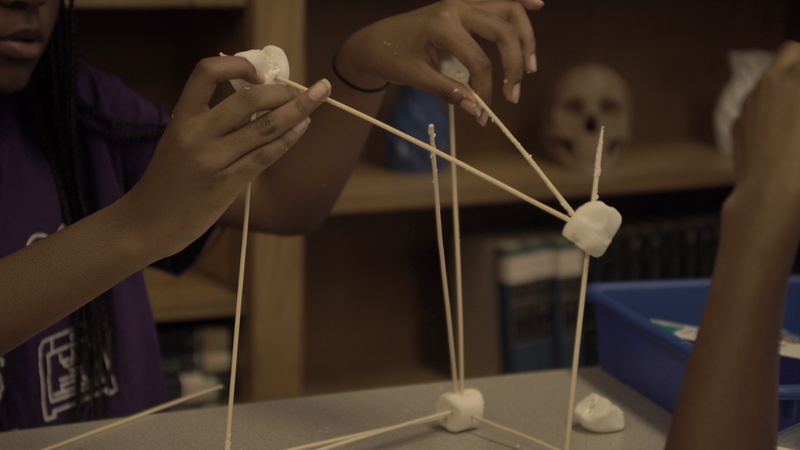 Project-based learning exercises like the Marshmallow Challenge are included in the curriculum to go beyond teaching basic knowledge and skills in high school. 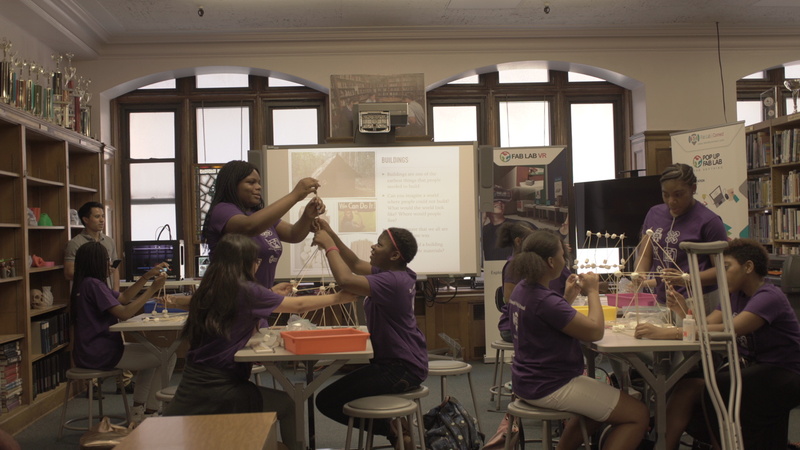 Students at the all-girl Catholic school in Brooklyn learn how to communicate ideas, take initiative, accept responsibility, manage themselves, and solve problems. This prepares them for college, the 21st century workplace, and life in general. And since the students are more engaged in the projects than in traditional classroom settings, the lessons and solutions stick. This Challenge is an alternative take on the exercise using uncooked spaghetti sticks to construct the tallest freestanding structure, from the tabletop surface to the top of the marshmallow, in 18 minutes. In the past, some business school or corporate management participants have been overconfident in considering how to conquer the light and fluffy marshmallow. Sometimes with a hidden agenda or power struggle, they charge ahead and devise an elaborate plan, only to execute it and watch the structure buckle, with barely enough time – or no time – to fix the design. Teams who went right into building and rebuilding might have chosen a better way to go, with quicker results towards success. School Fab Lab students are encouraged to think like the latter group of participants: learn to prototype – refine – prototype. 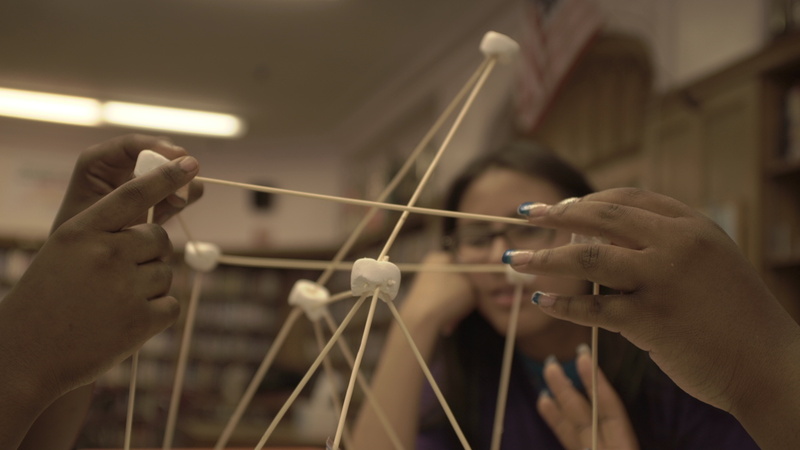 “When you actually try to build the structure, the marshmallows don’t seem so light,” notes Tom Wujec, designer and fellow at Autodesk.“The lesson in the marshmallow challenge is that we need to identify the assumptions in our project – the real customer needs, the cost of the product, the duration of the service – and test them early and often. That’s the mechanism that leads to effective innovation.” Watch his Ted Talk “Build a Tower, Build a Team” here. 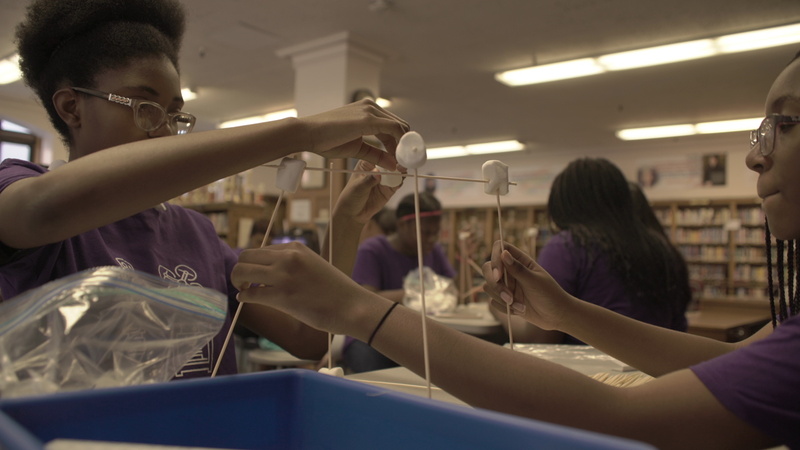 With project-based learning in a team, participants can witness diverse perspectives, watch how other team members innovate and solve problems, and learn to think out-of-the-box to expand their options. Students are not passive, they are encouraged to be active. They seem to enjoy the learning process more. Instructors appreciate hands-on learning projects – students remain engaged, compared to other methods of teaching such subjects as physics, engineering and design. 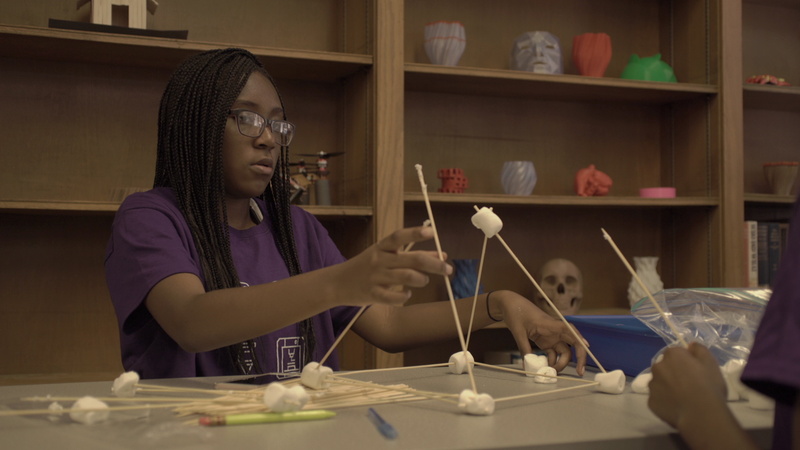 Building a downscaled model like in the Marshmallow Challenge, students practice “making” to learn structural integrity, then apply successful solutions to new situations in the future. There is an individual and group sense of accomplishment for both students and teachers.